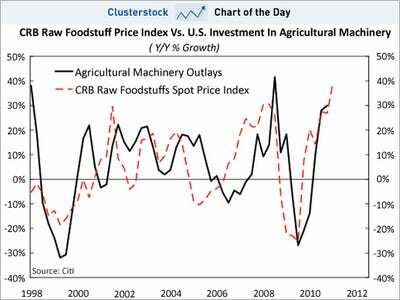 High food prices are hurting restaurants and other companies that sell food to end users. But some folks are obviously happy. First of all, farmers and anyone else growing food are doing good. Another group? Makers of farm equipment. Think: Deere, Caterpillar, and others. 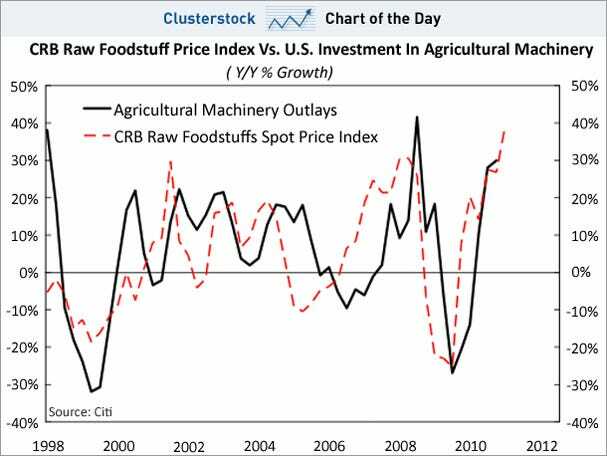 From Citi, look how closely their performance tracks foodstuffs prices.